WeChat has grown significantly as a primary instant messaging app boasting around 700 million active users. Indeed, the popularity of WeChat is nothing less than staggering. However, if you have been using the app, you would surely understand the inconvenience in terms of the amount of space WeChat messages and contacts take. Not only will a large number of contacts slow down your iPhone’s performance, but it also poses a security threat. Deleting WeChat contacts is not as complicated as you may think. The steps below will help you delete WeChat contacts easily. Step 2: Tap the contact you want to remove. Step 3: Tap "..." from the top right corner on the profile page. Step 4: Tap Delete and then Delete Contact. The contact and its associated chats will be removed from your WeChat. You need to delete WeChat contacts one by one. To protect deleted WeChat contacts from being recovered, it's suggested to use iMyFone WeChat Eraser's Erase All Fragments to completely erase all traces left by WeChat contact. Manually deleted WeChat contacts or chats from iPhone are still recoverable as they are left behind on the hard drive. Therefore, a more holistic solution would be to use a WeChat eraser that will allow you to erase unwanted contacts permanently that are 100% unrecoverable. One such app is the iMyFone WeChat Eraser ( or the Mac version) for iPhone. It provides a full-fledged solution for all your iPhone data erasing needs. 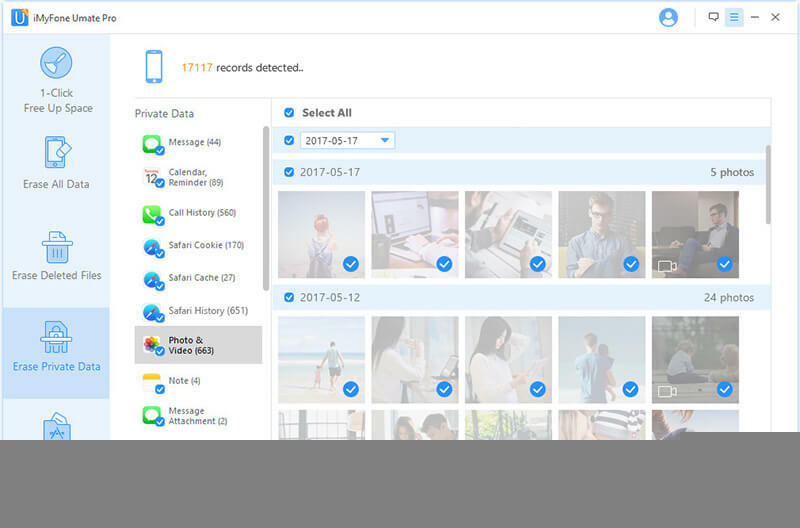 Erase WeChat Data - It will permanently delete WeChat messages, photos, videos, small videos, stickers, etc. 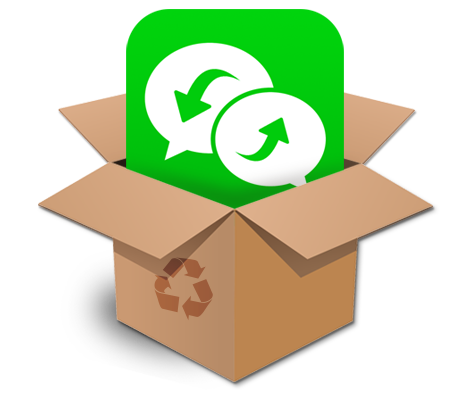 Wipe Deleted WeChat Files - Previously deleted WeChat files will be found out and completely wiped to protect them from being recoverd again. Efface All WeChat Traces - All the incomplete fragments left by WeChat will be completely destroyed from iPhone and even iCloud beyond recovery. It also supports Snapchat, WhatsApp, Facebook, Twitter, Chrome, and many more. Clear WeChat Cache - All app cache will be cleared once for free and WeChat cache is inclused. Step 2: Select the “Erase Private Files” option and click “Scan”. 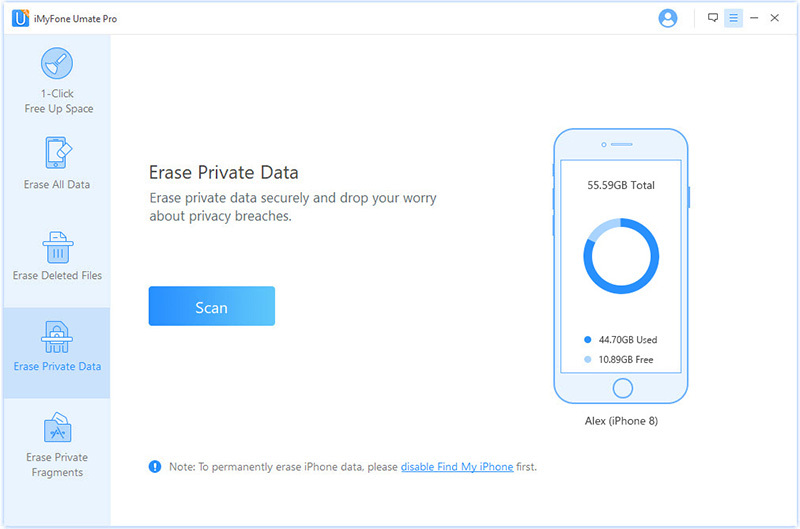 iMyFone will start scanning for all the private files that you may have on your iPhone. Step 3: Once scanned, all your private files will be displayed along with WeChat data. Select the ones that you want to delete and click “Erase Now”. Step 4: Type in “delete” to confirm and click “Erase Now”. One of the solutions that come to mind is blocking contacts. Blocking contacts, as you may already know, involves, restricting a certain individual from contacting you in anyway. This method may be effective only if you want to stop unnecessary messages coming from an individual you do not know very well. However, the contact will still be in your memory and as such, will not do much in improving your iPhone’s performance or protecting your privacy. Another alternative is to delete the WeChat contacts from iPhone. Deleting removes the contact from your iPhone and therefore saves your iPhone’s storage to a certain extent. Although WeChat has a huge user base, the app is not without its faults. A number of issues have been raised with regards to WeChat’s privacy. It is therefore worth mentioning some of these issues as being aware of them will go a long a way in helping you protect your own privacy. First and foremost, the app is subject to rules and regulations set by the Chinese government. As such, the messages and contacts contained in WeChat can be easily intercepted and monitored by the government. Secondly, not only can your contacts and text messages be tracked, but WeChat’s GPS feature also allows to track down your exact location. Lastly, the app was reported to have been infected by malware, dubbed as XcodeGhost and still made it through Apple’s app store.